Our Road Trip Games that we have in our site are not typically what you might expect from online sites. Our goal is to enhance the quality of your trip and give you memories that will last forever. I must warn you...these games are not for everybody but they are a total blast. You can use most of these gems on almost all of your travel adventures and they are perfect for a college road trip (and yes...even a dry business trip). If you are looking for traditional games, puzzles, and brain-teasers then your not at the right website. The simple response to that question is that "there is no simple answer". The Digital Camera Safari is a new phenomenon that is taking this country by storm. This is an activity that is not for the up-tight or close-minded traveler. A true sense of adventure and a keen of humor are an absolute must! It's pretty obvious we have a Bigfoot epidemic in this country and we need your help! Exploring the legend of Bigfoot is fun in itself but the true adventure begins when you interview the local folk in areas with heavy Sasquatch sightings. Your going to hear some ridiculously funny stories and best of all capture pictures of people that are missing teeth, use bug spray as aftershave, or are just overly enthusiastic about Bigfoot. "So we're clearly on vacation...why would we WANT to look like a tourist?" If you find yourself thinking the above thought then you might not get the humor in this amazing travel activity. The Conspicuous Tourist is for the traveler who has a fairly sarcastic sense of humor. The pictures and stories that you will get to share with your friends will be absolutely priceless. This is one of my favorite all time road trip games and will have you mingling with the locals and meeting new best friends...if you try it once, then you'll be hooked. 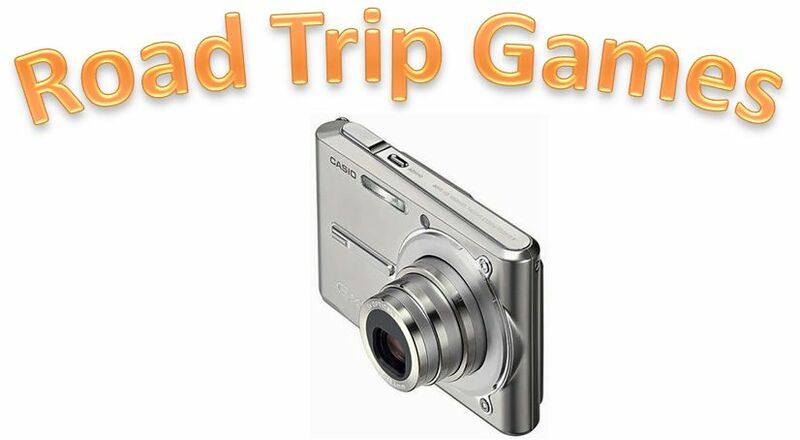 This road trip game is a team competition where you are racing against the clock and taking pictures with your camera. You will find yourself traveling around the city on subways and on foot (avoid taxi cabs). The journey will lead you into local landmarks such as restaurants, monuments, bars, etc. The possibilities are endless and only your imagination will limit your fun on this one. The days of spending $50-$100 per person on a meal are long-gone if you take this travel advice. We all have a favorite food (pizza, hamburgers, BBQ, etc.) . One morning I woke up and realized that the best pizza in the world probably is not made locally in my smaller sized hometown. I will explain the rules to this activity when you click on this link. You work hard for a living and your road trip should allow every member in your family to have some quality time to themselves. Not only will this park adventure accomplish this goal, it will wear the kids out and make them tired. That's right...they will want to go to sleep EARLY! Everyone loves looking at pictures of animals. Almost every National Park in the country is loaded with these fun-loving animals and they are often times found right next to the road...waiting for you to capture them on film (or digital technology). This is the most serious version of our collection of road trip games. If your idea of Welcome-Sign Photography is just snapping a quick Polaroid and then driving right through then you are sadly mistaken. Welcome Sign Photography is becoming an art form and you will amaze friends and family with your newly found creative vision. Since we really don't want to put on puzzles...these links are good sources for you to check out for your traditional word puzzles and road trip games. While cruising down the road...make sure to keep your ear out for a radio contest! This is an excellent time for you to phone in and win a few bucks in prize money!